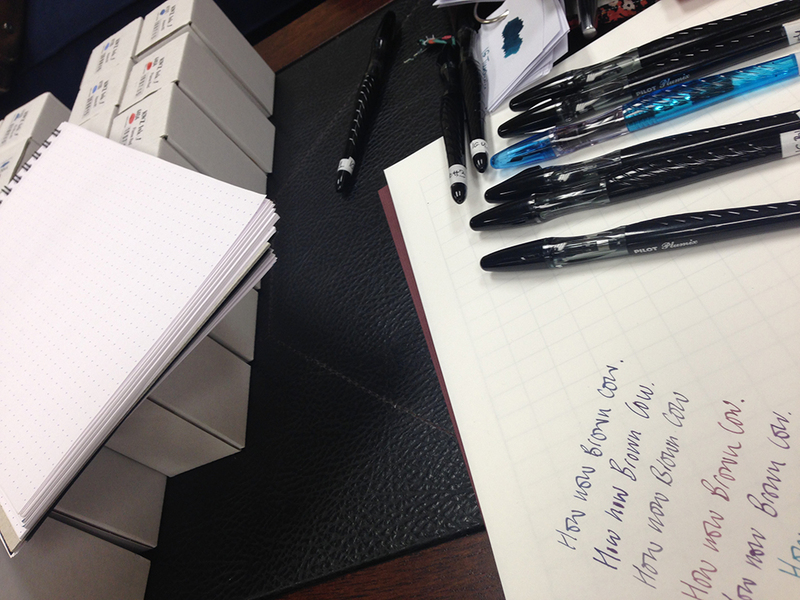 KWZ Ink | Knight's Writing Co.
Oh no! I forgot my camera! I had a hugely busy day on a warm November 3rd and I was starting to show the signs of a mild cold. After a day on the road and not feeling 100%, I headed to the office to meet Konrad and Agnieszka, the brilliant young chemists from Poland who are behind KWZ Ink. I had no idea what I was in for, but I was hopeful that their inks were as good as I had heard. I was thrilled that Konrad had contacted me after Scriptus Toronto 2015. During the show I managed to procure a bottle of the limited edition Maple Red. I purchased a refurbished Conklin Endura and it provides a perfect home for this wonderful limited edition ink. But it was the ink samples that Konrad had on hand that I was instantly attracted to. There was a crisp, sharp, saturated and smooth look to the ink that peeked my interest. I had a feeling there was something very special here. 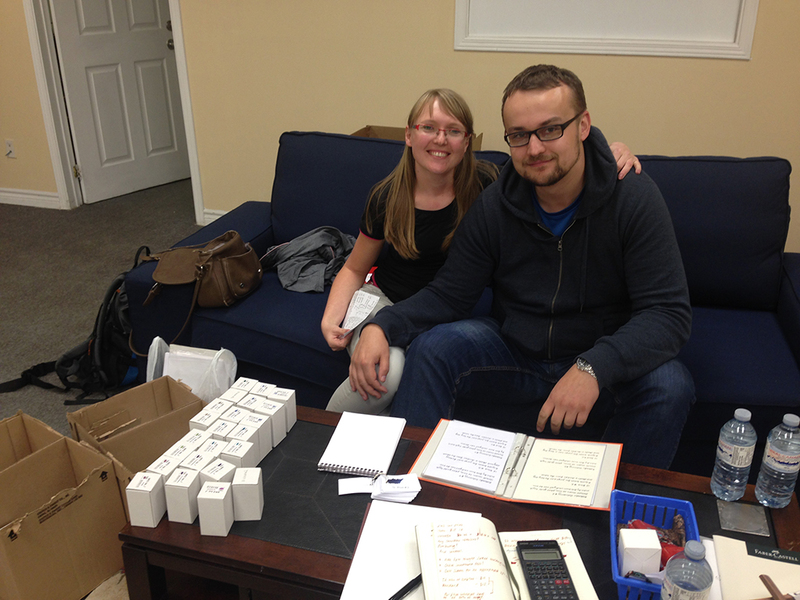 I'm not sure how many business cards I threw at Konrad and Agnieszka, but a few emails later we had arranged to meet at the humble Knight's Writing Company office. Tuesday evening rolled around and I was very excited. We headed to a local pub for some dinner and a chat. With a plate of curry for me and a bowl of Poutine for Konrad and Agnieszka we delved deeply into a subject that I know little about - the chemistry of ink. I was determined to educate myself and also perform due-diligence on the product I was hoping to stock (it was difficult to contain my excitement). I wanted to wade through the bad information - about ink in general - that is rife on the Internet. I wanted to discover the truth. It quickly became obvious that I was with two extremely smart people who were very passionate about their sphere of expertise - chemistry and ink. I probed Konrad and Agnieszka with child-like questions which they were happy to answer in equally simple terms (certainly not at their PhD level, thank goodness). What is the process of making ink? Where is your laboratory? How do you filter all the 'bits' out? Does your ink go mouldy? Does Iron Gall ruin fountain pens? Micron? Is it okay to use ink that has frozen? How do you get those spectacular colours? What has gone wrong? What has gone right? What do you want for your production in the future? How do your inks compare to others? By the end of dinner we had hit it off and I was very happy to have learned so much. I was convinced that Konrad and Agnieszka were more than your average ink producers. They really care about what they do and their level of professionalism and knowledge is exceptional. There is a magic in this small company that you seldom experience. 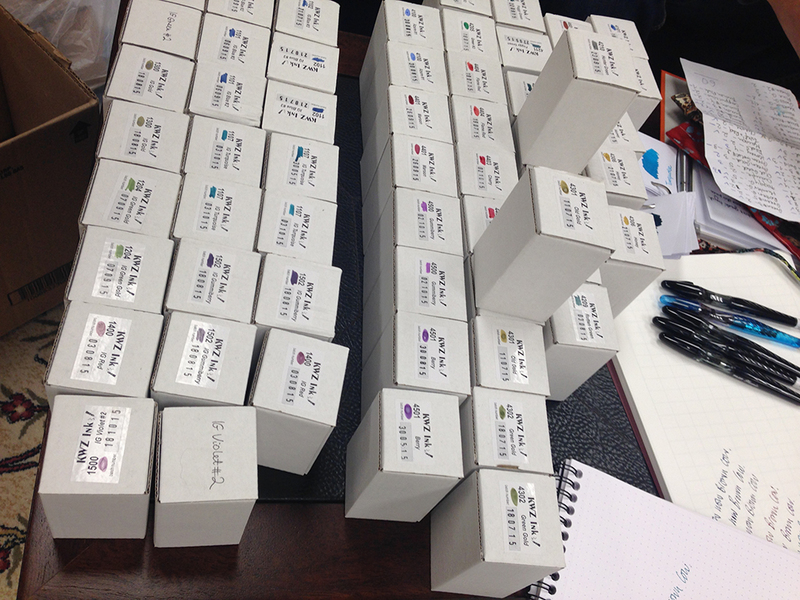 We headed back to the office and picked out a selection of inks for Knight's Writing Company website. The latter part of the evening was filled with pens, paper, and ink. Scribbling and testing and laughing. For a new guy in the pen and ink business, I felt privileged to have had this opportunity to spend with these two wonderful people. As I write this, we are preparing our new selection of KWZ Inks, so keep an eye on the website and make sure you try them.